There was one other course module at the Irish Whiskey Academy that I didn't touch on in that article. We settled into the comfy chairs around the Academy fireplace to hear a presentation from Midleton's archivist, Carol Quinn. In 2013, the historical records of Irish Distillers, incorporating those of predecessor companies Jameson, Powers and Cork Distilleries Company, were brought together for the first time. They were housed in a disused part of the Distiller's Cottage fitted with five temperature- and humidity-controlled strongrooms. To identify and protect trademarks and brand names, and to supply legal evidence when these are threatened. To feed into marketing programmes and brand development. To act as a repository for corporate memory and experience. By way of example, Carol fleshed out the career of Paddy Flaherty for us, drawing on payroll and other records. I have to confess, I thought that the story of Paddy Whiskey being named for a flamboyant Cork Distilleries salesman was apocryphal, another example of Irish whiskey marketing stretching historical fact. This documentation informed the design of packaging for last year's Paddy Centenary Edition. 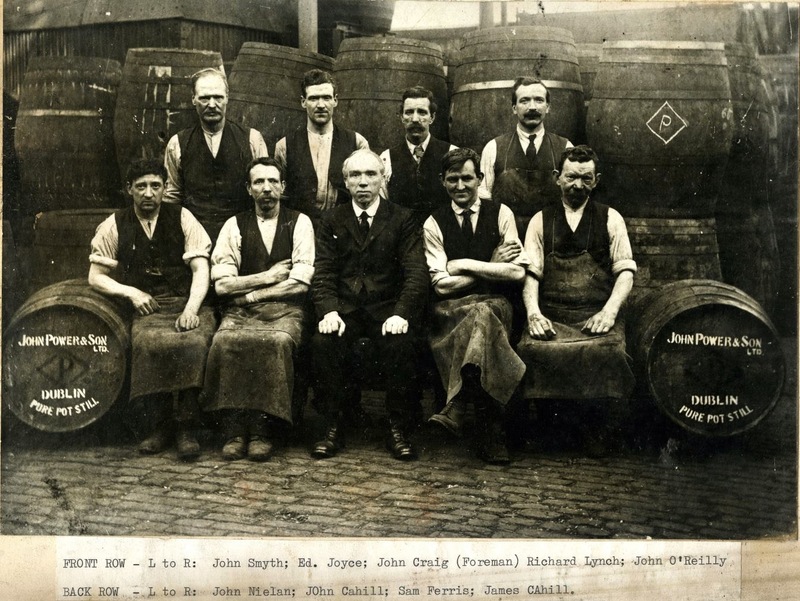 Coopers at Powers Distillery, Dublin, in the 1920s. Photo courtesy of the Irish Distillers Archive. That's my great-grandfather, John O'Reilly, in the front row, on the right. I usually nominate Powers John's Lane Release Single Pot Still as my favourite whiskey. I can't see that ever changing now! I'm immensely grateful to Carol for taking the time to surface this piece of family history. 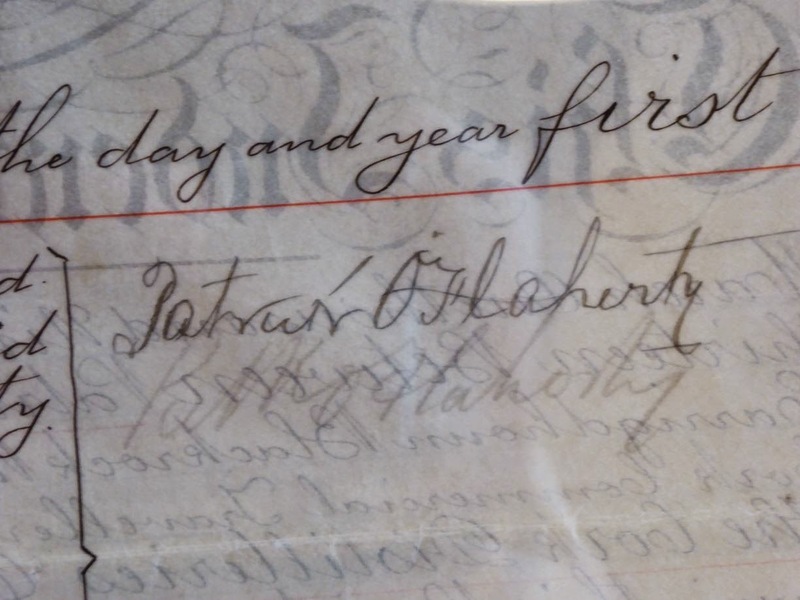 Because of previous articles I have posted on coopering in Dublin, I am occasionally contacted by people trying to trace ancestors in that profession. The recently-established archive at Midleton is not yet open for full public consultation as the collection is still being catalogued. Nevertheless, the archive does try to help with tracing family records, where possible.